Enware Australia presents a freestanding IFO toilet suite designed to provide independence, safety and dignity for users and carers alike. The Enware CARE601 comprises of a freestanding IFO toilet suite complete with support arms, raised flush button and toilet seat (with lid). Designed specifically for people with restricted movement caused by disability, old age or injury, the toilet allows for practical space-saving configurations thanks to its freestanding design. More than 2400 toilet suites have been installed over the past four years, underlining the reliability and performance of the product. 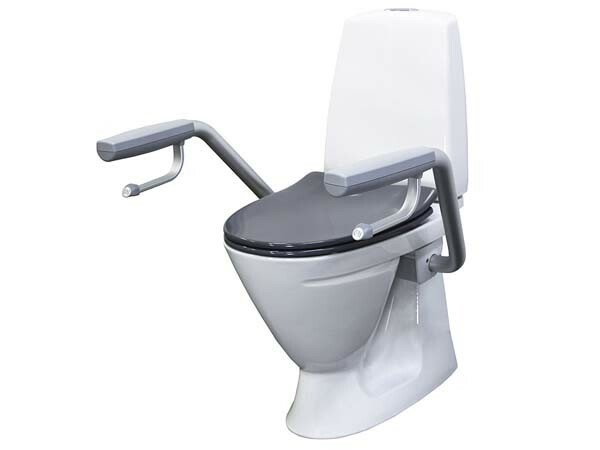 Key features of the Enware CARE601 IFO toilet suite include arms designed to fold out of the way, creating space for commodes or wheelchairs; close coupled cistern assisted backrest; purpose built seat with stainless steel hinges and sideways buffers; raised height design allowing user to easily sit and stand or transfer; optional, removable or retrofitted support arms for more flexibility; and larger footprint for extra stability.